This is the most practical butcher wrap you'll ever meet. 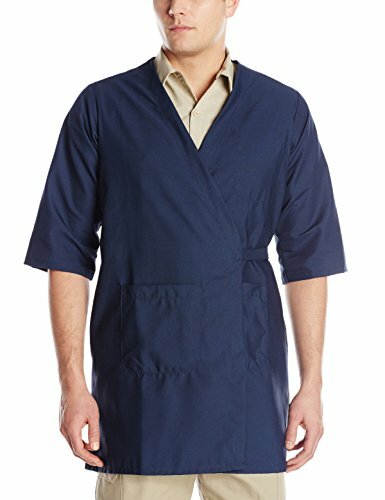 Made for butchers but also perfect for anyone in food processing, it features a reversible self-tie closure you can wrap across your body to the left or right, and its 3/4" sleeves won't interfere with your work. This unisex butcher wrap is available with or without pockets. It's simple, but this butcher wrap's job is to help you get yours done.